As tempting as Disneyland can be… we still get calls for team building in Anaheim. The Anaheim convention center serves as a focal point for the Anaheim Hilton, Marriott and Hyatt Place Resort when they host large events. We can create a scavenger hunt at the GardenWalk or a team olympics at nearby Sierra Park. Want something different? Within minutes of the convention center we can host a company pool tournament, Wipeout Warrior Challenge or even put you in the cockpit of world class flight simulators. 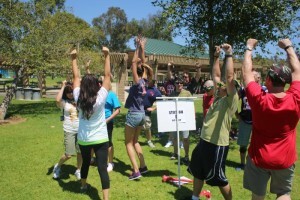 Anaheim offers a plethora of team building options for your next sales conference or employee outing. 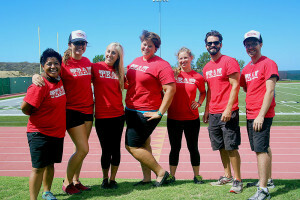 Call us at 877.267.1939 to plan your next Anaheim team building event or email james@fireflyteamevents.com. Anaheim Scavenger Hunt – One of our most popular events gets your team exploring areas like the Garden Walk, Downtown Disney, and more. Complete more missions and checkpoints that your opponents if you want to win. Iron Team Challenge – Your teams will compete in a head to head Olympic style challenge at a local park or hotel like the Anaheim Marriott. They will need to communicate, assume leadership roles, problem solve, and trust if they want to win. Charity Team Building – Why not combine your team building activity with a charitable cause? From bicycles to care packages we have a selection of worthy events to unite your team. The only way to be closer to the Anaheim Convention Center is to sleep inside it. Step out the side door at the Hilton and you’re entering the convention center. It’s got convenience and a great little food court. You can’t go wrong with the Hilton for your next team building. For the happiest place on earth Disneyland isn’t always easy to plan for. We’ve got Disney experts that are ready to help coordinate your next team building outing to the park. Let us know what you need and we’ll make it happen! Restaurants like Bubba Gump, Roy’s Hawaiian Fusion, and Fire and Ice Grill make this a big destination for groups in Anaheim. the Anaheim Garden Walk is a perfect example of California’s outdoor malls. The Hyatt in Anaheim is walking distance to Disneyland and the Convention Center. 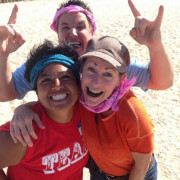 If you’re planning a team building event for your meeting it’s a great jumping off point.